President Muhammadu Buhari wants Nigerians to emulate two security men who returned a handbag filled with valuables forgotten at the Murtala Muhammed Airport by an American returnee, saying such conduct reflects the new Nigeria that we all desire. A Lagos-based medical doctor, Banji Oyegbami, had met a family returning from America at the airport on August 18, 2018. In the process of loading their luggage into the car of their host, the handbag of the returnee’s wife fell, unknown to anyone. It was not till 90 minutes later that an officer of Halogen Securities, on duty at the airport, called the couple, to come for the retrieved bag. When the bag was eventually collected, the contents, including a handsome amount of American dollars, phone, wrist watch, and other valuables were intact. The grateful couple offered a generous gift, but Messrs Francis Emepueaku and Achi Daniel, declined, saying they were merely doing their duties. President Buhari believes that despite the scoffing of a minority number, Nigeria is resolutely on the road to a new dawn. “Honesty remains the best policy. We must exhibit such behaviour in whatever position we find ourselves, whether high or low,” he submits. According to him, “The security men could have chosen to behave differently, following the self-serving principle of ‘if you can’t beat them, join them.’ But they have chosen to be examples of good, honest Nigerians. 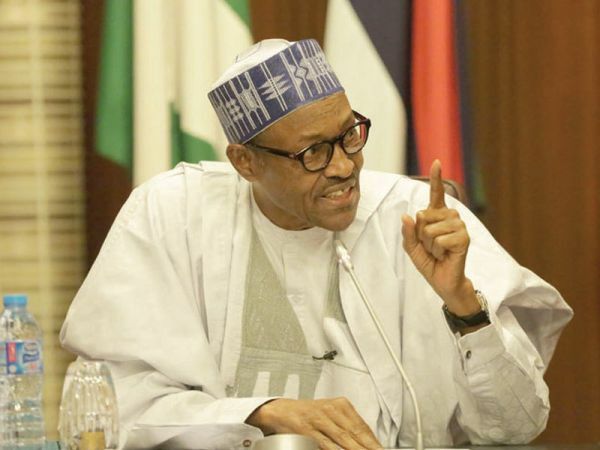 I commend their conduct to the rest of the country.” The President urges Nigerians to bring out the best in themselves at all times, noting that with such minds, they can never be hoodwinked again by those who seek power for selfish and dubious reasons, and return the country to an inglorious past. “Nigeria will no longer be a byword for corruption and plundering of public resources. That is the path we have chosen to take, and our country will eventually get to a new shore,” President Buhari affirms.